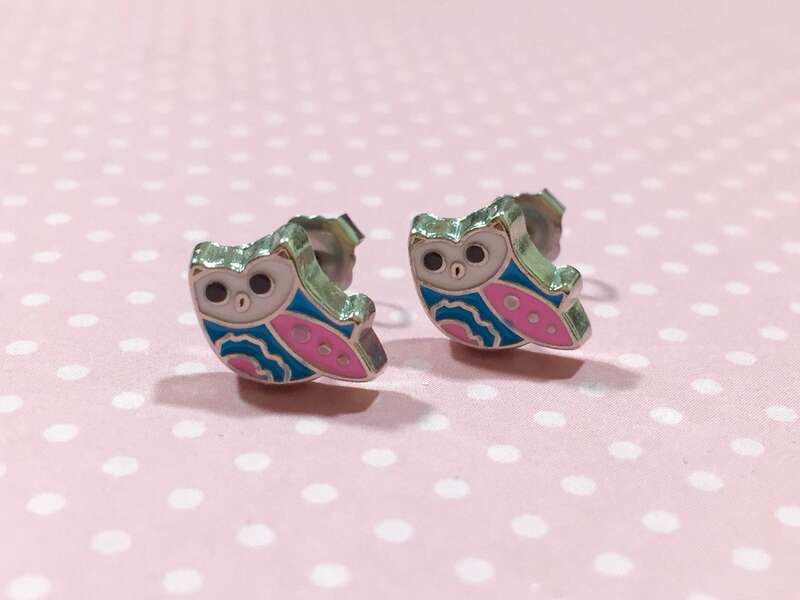 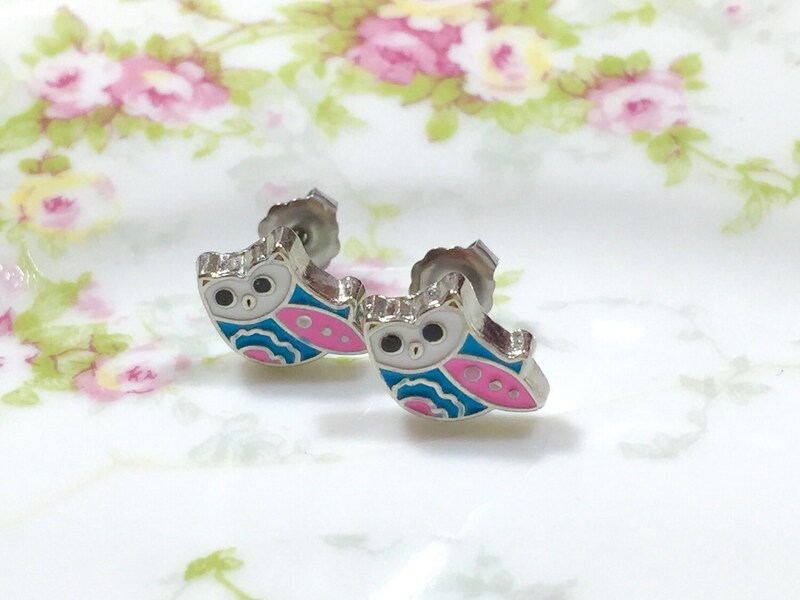 Adorn your lobes with these darling little owl stud earrings that are metal that has been enameled with turquoise and pink details. 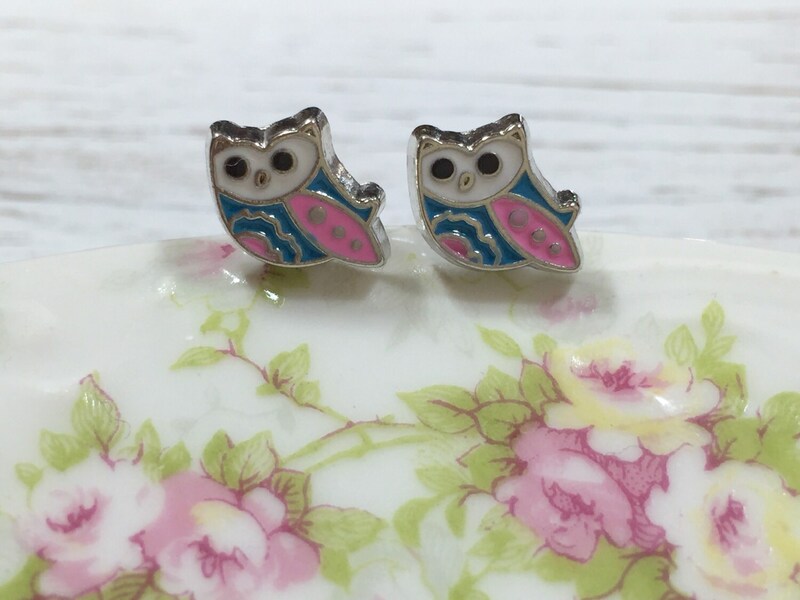 The little owls are nickel and lead free & have been affixed to stainless surgical steel posts. 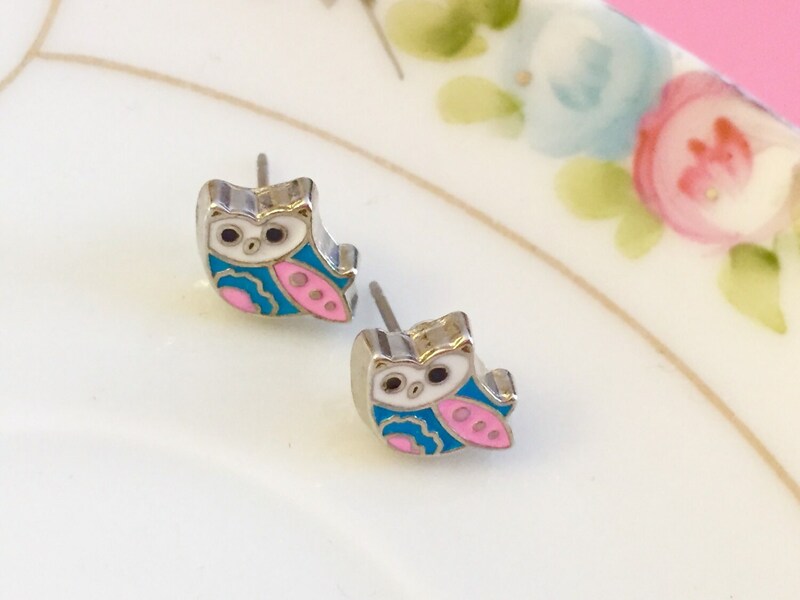 The little earrings measure about 3/8 inches in diameter (10mm).